Stranger Things Kids Reportedly Get Big Pay Raises — But Is Millie Bobby Brown Making Even More? - Integration Through Media ....! Stranger Things Kids Reportedly Get Big Pay Raises — But Is Millie Bobby Brown Making Even More? Netflix has reportedly given the award-winning cast of its hit show Stranger Things some major pay raises. According to a new report from The Hollywood Reporter, the streaming giant is paying the Stranger Things stars between $150,000 to $350,000 an episode for season 3, which is scheduled to begin filming April 23. Winona Ryder (Joyce) and David Harbour (Hopper) are making $350,000 an episode, THR reports, while child stars Finn Wolfhard (Mike), Gaten Matarazzo (Dustin), Caleb McLaughlin (Lucas) and Noah Schnapp (Will) will get $250,000 an episode. It’s unclear where Millie Bobby Brown falls. 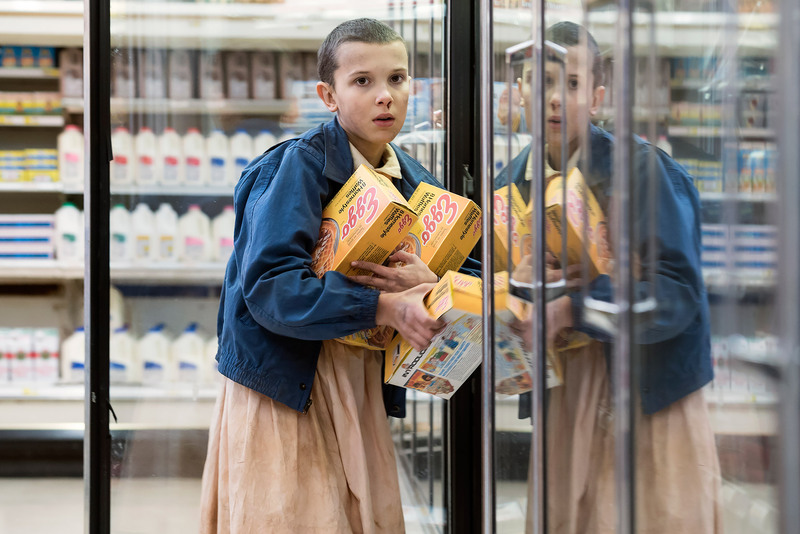 The 14-year-old actress, who plays Eleven on the show, reportedly negotiated her deal separately, and sources tell THR she’s at least making $250,000 per episode, and her salary might be as high as $350,000. RELATED: It’s Official! Stranger Things Renewed for Season 3 — but When Will It Return? Reps for Netflix and Brown did not immediately respond to PEOPLE’s request for comment. Stranger Things premiered in 2016, and is said to be Netflix’s most-watched series. The sci-fi drama, which is set in the 1980s, has been nominated for 18 Emmys. Its cast picked up the 2017 Screen Actors Guild award for outstanding ensemble in a drama series. Their increases are big compared to what the Stranger Things stars were said to be making previously. THR reports that the child actors were paid “in the low $20,000 range for the first and second seasons of the series” per episode — meaning their increase to $250,000 is a 1,150 percent increase. Ryder was said to be making “around $100,000” and Harbour “$80,000,” THR reports.